For information about how to select a bento box that’s right for you, see Selecting the right bento lunch box . A rice cooker is the best tool for cooking white rice. The ‘set-it-and-forget-it’ convenience of a rice cooker with a timer function just can’t be beat. Many modern rice cookers can handle brown rice as well as white rice, and can cook other kinds of whole grains as well. People even make soups and breads in a rice cooker! See Answering some rice cooker questions  for more. If you are a vegan or vegetarian, or interested in introducing more whole grains and pulses (dried beans and legumes) to your diet, a pressure cooker is a must. A pressure cooker is great for brown rice, whole grains that need longer cooking (like barley), and dried beans. Dried beans are so much cheaper and better tasting than canned, and cook up in a short time in a pressure cooker. I often make a batch of beans, portion them and freeze them. See Pressure Cooker Love . Essential bento making equipment to me is not about cute little egg formers or colorful plastic picks. 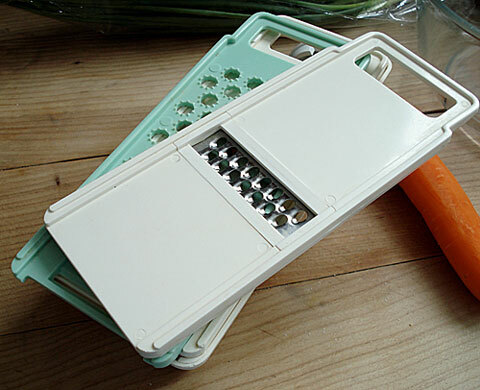 It’s about tools that make bento assembly fast and easy. Using egg formers and the like is optional, not mandatory. There are several reviews of bento boxes and accessories on this site however - see the equipment and supplies  category, as well as the kyaraben  category for decorative bento supplies and ideas. 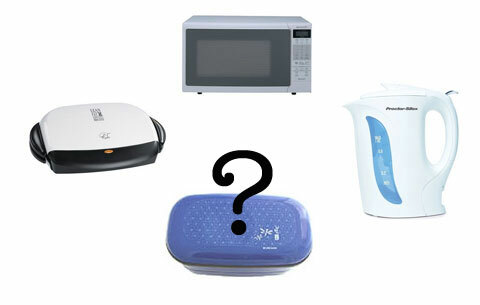 Think about a microwave rice cooker, or a plug-in electric rice cooker. This is one situation where a microwave rice cooker would be very handy to have. Rice, even expensive Japanese rice, is only pennies per serving. You can get basic rice cookers for around US$10 . You could even think about investing in a microwave cooking set . If your budget and space allow though, think about getting a plug-in electric rice cooker with a timer function (see the big rice cooker article ) - if your dorm allows hot water heaters and grills, a rice cooker should be fine. You can even use it to cook things other than rice! Cup-a-soup and other “just add hot water” foods are your friend. Do look at labels though since some are healthier than others. And, try not to rely too much on cup noodles (known in the UK as pot noodles) - I know they have become the preferred hot snack for gamers, coders and college kids, but nutritionally speaking they are about on the same level, or worse, as potato chips .